Costco's infamous $1.50 hot dog and drink combo was a topic of discussion at a fundraiser in Washington. Co-founder and former CEO of Costco, Jim Sinegal, introduced the President with an anecdote of Obama's love for the combo, the price of which hasn't changed since 1985. "He said, is there any truth to the fact that maybe with your departure the $1.50 hot dog and Pepsi is going away?" Sinegal said. "And I must tell you, there was a bit of concern in his voice. You talk about somebody watching the economy." 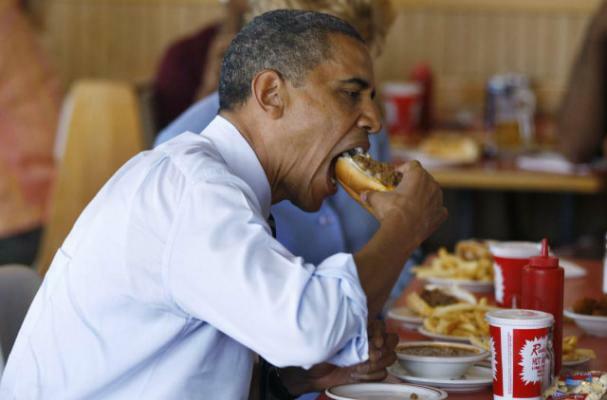 When Obama took the podium, he said he knew the inexpensive combo wouldn't be going anywhere. "When I called Jim, I said congratulations. I was confident about the hot dog," he said. "You don't mess with something if it ain't broke."